The Toyger cat is a domestic cat and is not related to the Tiger in any way. 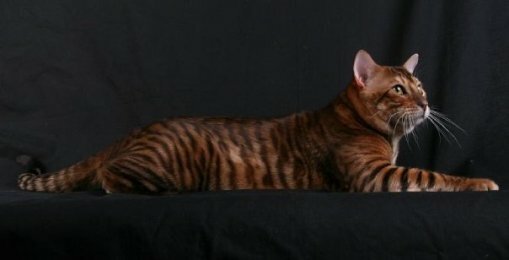 This cat but was bred to emulate the Asian or Bengal Tiger. 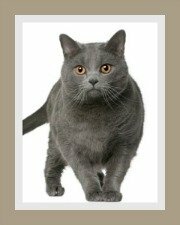 It is considered a new cat breed and cat breeders are still hard at work improving what we believe is already a very handsome cat. Note: They do not have any Tiger blood in them. 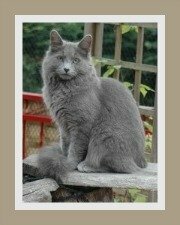 They are not considered wild cats and no permit is required to keep this cat. The Toyger is an athletic looking cat with a strong, muscular torso, long and muscular neck and sturdy forequarters. The front and back legs are equivalent in height and of medium length. It has a rope-like tail which is muscular and long and carried quite low. Like the wild tiger, the Toyger has a somewhat rounded head which is medium in size and could be described as 'heart-shaped'. 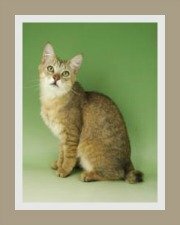 The cat's muzzle and nose are medium long, fairly muscular and like the head, has rounded contours. Eyes are round and small and should have a deep and rich color - all eye colors are accepted, apart from blue which is not permitted. 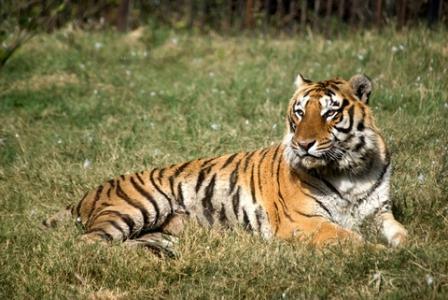 The Toygers ears are considered small with rounded tips. The Toyger cat's coat is short, thick, soft, luxuriously plush and the fur should have 'glittering'. 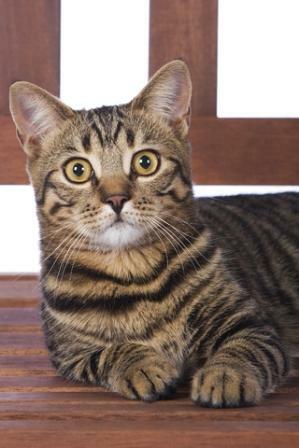 The modified mackerel tabby markings range from virtually black to brown and possibly tan. There must be a distinct and extreme contrast in color values. The preferred background color is orange. The body stripes should be bold and non-uniform (i.e. broken or branched) and stretched rosettes are preferred. The stripes and facial markings should be aligned in a circular fashion around the face. The wild Asian Tiger or rather the Bengal Tiger - the cat that inspired the development of the Toyger. 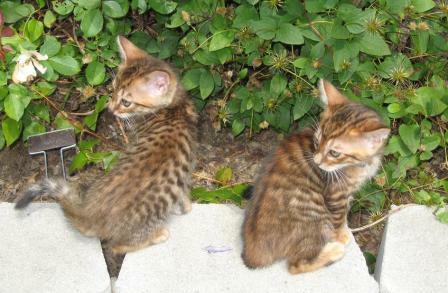 Toyger cats will do well indoors or outdoors. If indoor cats are not provided with sufficient space and cat paraphernalia (cat toys, cat gyms, cat scratchers) they may become bored and resort to destructive behavior. Outdoor cats that are permitted to roam will be exposed to all sorts of dangers like unfriendly dogs, cats and humans. They are also at risk of being run over and contracting feline diseases. The safest and most stimulating environment for your cat is a large outdoor, escape-proof enclosure with direct access to your home. Toygers make great family pets. The Toyger is a highly intelligent and playful cat that can be trained to walk with a harness. This is a laid-back cat and whilst not a lap cat, it is affectionate and gentle. Their owners also describe them as sociable and whilst they will accept other cats, they prefer the company of cat-friendly dogs. 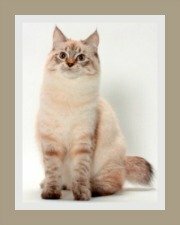 This is a low maintenance cat breed. A weekly brush with a rubber grooming glove will keep the coat clean and shiny. 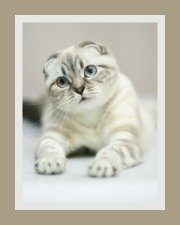 Obviously, all cats need general hygiene and for information regarding this, visit our tips on cat care. This 'domestic tiger cat' is a healthy breed, but like all cats they do need regular exercise, vaccinations and an annual visit to the vet for a general check-up. Investing in cat health insurance is highly recommended. Needless to say, Toyger cats need a well balanced diet. You can choose from a wide selection of commercial foods (kibbles or canned) or, if you have the expertise, consider raw cat food. Water is an essential part of your cat's diet and all cats should have a bowl of clean, fresh water to drink. (Milk should be given as an occasional treat only). The review on cat food provides excellent information on the different types of feline foods and the cat nutrition guide reviews the importance of specific nutrients in your cat's diet. 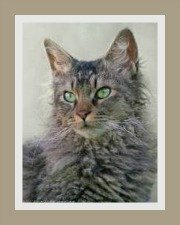 Cat life span depends on numerous things which are explained in detail in the chapter on how long do cats live. The average life span of a well cared for Toyger is 12 + years.